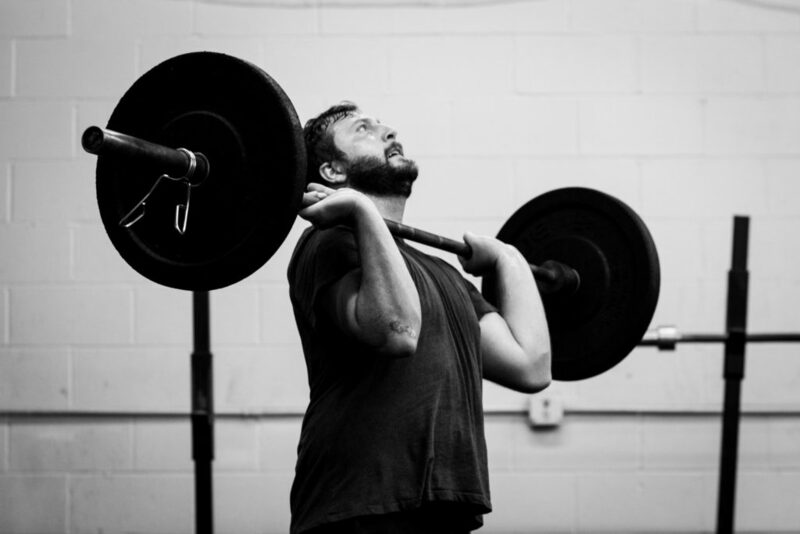 Today’s work is reminiscent of the way competition WODs are often structured. We’ll start with 12 minutes of running, followed immediately by 12 minutes to find our max set of 5 push press. For some of us, the challenge will be to just don’t stop running for 12 minutes. Others might decide to push the pace. Regardless, once the 12 minutes up, we’ll dive right into our push press. We’ll have warmed up the movement ahead of time, but we’ll be starting from an empty bar once we get back. It’s time to test our strength when we’re already winded! I really enjoyed just running (in circles), put some music on, and ran. WoD: Also 2800m. Worked up to 129# on the push press.